Washington Redskins safety Deshazor Everett intercepts Philadelphia Eagles quarterback Carson Wentz in the endzone. 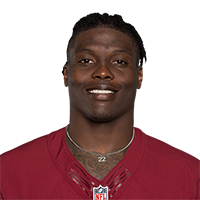 Published: Aug. 31, 2016 at 09:03 p.m.
Washington Redskins safety Duke Ihenacho makes a diving pick off the deflected pass from Tampa Bay Buccaneers QB Ryan Griffin. Published: Aug. 19, 2016 at 10:33 p.m.
Washington Redskins linebacker Terence Garvin recovers the New York Jets' fumble.